One of the most scenic runs you can take inland in Fort Lauderdale is on the Fort Lauderdale Riverwalk. This recently completed trail along the New River in downtown is considered by many “Florida’s Most Beautiful Mile,” linking boutiques, restaurants, shops and museums with lush, tropical scenery. 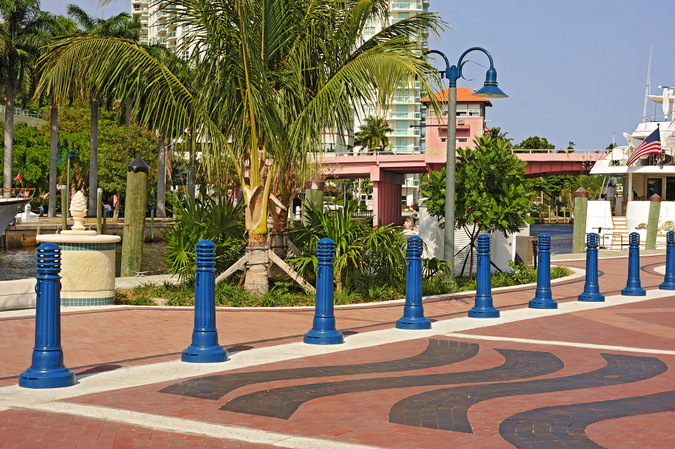 Riverwalk also encompasses Esplanade Park, with interactive exhibits, located at the foot of the Broward Center for the Performing Arts. Included along Riverwalk’s path you’ll find gazebos, a picnic area, native plant exhibits and a butterfly garden. River Walk North is about a mile one-way along the river; River Walk South is about half a mile one-way on the other side. S. Ave. of the Arts near Esplanade Park or off E Las Olas Blvd. Northern end: S. Ave. of the Arts near Esplanade Park; Southern end: Off E Las Olas Blvd.